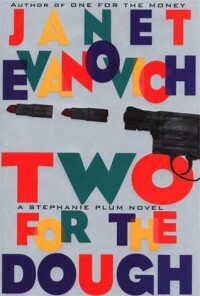 The second in Evanovich’s sprawling Stephanie Plum series is kind of a mess. It feels as if Evanovich got some acclaim with the first book and then threw everything into book two. There are so very many plots moving around it’s almost a chore to not only keep up but even guess as to what’s going on and why. And, much like in the first book the plot simply stops. With 6 pages left in the book for the wrap up. And then the next book starts with everything reset back to zero.